When you download this Most Improved Award template, you may quickly find that you can change it suit your needs. You may want to think about how you can customize it so that it represents the team or sport that you play. For example, a baseball team may want to include their logo or graphic art related to the game. This can help personalize the award and make people feel like they were really recognized by its presentation. 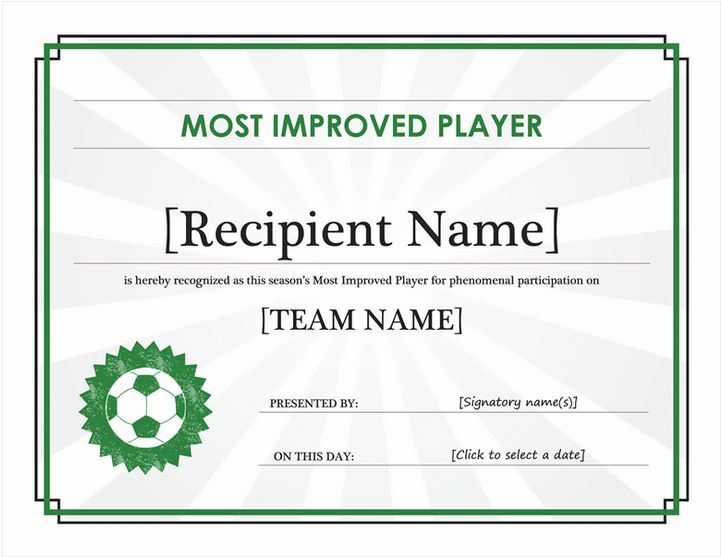 You can download this Most Improved Award template right off of this page for free. After you have downloaded the Most Improved Award template, you may be interested in checking out some of the different options you have. It can actually be edited in a number of different ways as well. You can include the players name and a few other details that you might want to add sometime. This can help make it meaningful for the player that is receiving the award. Be sure to take out some of the placeholder text that is included when you download the document. This is only intended to help direct your attention when you first take a look at the file. All of this will combine to make the Most Improved Award template more meaningful to the person that receives it. Since they worked hard to achieve this award, you might want to think about making it memorable for them as well. They may want to keep this award as a memory of playing that year for the team.